Defending legal proceeding issued in the court for possession of property on many different grounds. Any extra charges to which the lender is not entitled under the initial loan agreement. Removal of unfair administration fees, arrears charges or redemption fees. Effectively charging part or all of the interest twice. Initial mortgage mis-selling following negligent advice from a lender or broker. When a borrower takes out a mortgage with a lender following acceptance of a mortgage offer, the lender is in a dominant position and the borrower often simply trusts the lender to ensure that the mathematical calculation of the payments due is accurately calculated however either by accident or design this situation often does not prevail and the borrower may find themselves in the position of paying substantially more to the lender than the agreement provides. Interestingly it is indeed very rare for the lender to undercharge! do you have a substantial mortgage that is either ongoing or was redeemed or paid off in the last two years? are you in arrears or were you in arrears when the mortgage was paid off? do you believe that excessive charges have, at some point along the way been added to your account? were you charged a fee, added to your mortgage account for the brokers charges? was you mortgage 'interest only'? Our mortgage repossession solicitors are able to deal with the defence of foreclosure proceedings and may be able to assist in refinancing your mortgage through another lender on less onerous terms. There are stringent requirements that apply to mortgage lenders who wish to take action for foreclosure of a mortgage. 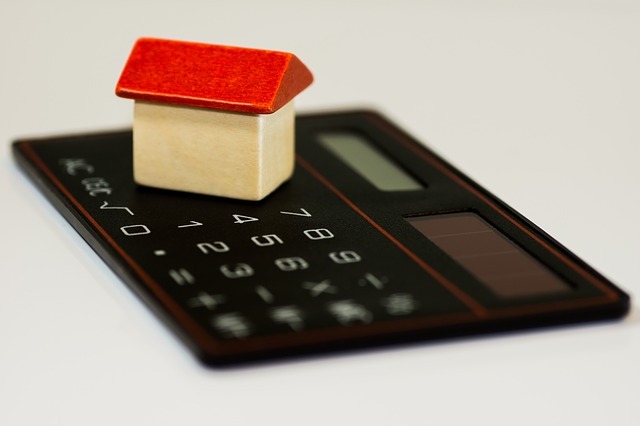 We are able to advise on whether or not those regulations have been followed and in addition we will calculate the exact financial position to establish whether or not there has been overcharging or if there was a mis-selling situation at the inception of the mortgage. Even if you have adverse credit we may, through our experienced brokers, be able to refinance and prevent repossession. Our financial services solicitors deal with compensation claims for overcharging on property loans by lenders and mortgage mis-selling. We operate the no win no fee scheme and you do not have to fund or finance your legal action. Claims are totally risk free and if the action is lost you pay nothing. It's to every ones advantage that you win your case and if you instruct one of our mortgage repossession solicitors to represent you, that lawyer will provide committed and vigorous legal representation on your behalf. No stone will be left unturned in our quest to win compensation on your behalf. advisor did not discuss other methods of finance, other companies or other products. failed to consider the effect of retirement on meeting the payments. purchase using "Right to Buy"
Our lawyers, actuaries, financial advisers and insurance experts work together as a specialist team to settle mortgage mis-selling claims against life companies, banks, building societies, independent financial advisers and insurance brokers. Our professionals only deal with claims on a risk free no win no fee basis and if the claim is unsuccessful for any reason they will make no charge whatsoever. You will not be asked to fund or finance your application in any respect and you will not have to buy insurance or take out any loans. Our clients never pay any charges unless the claim is settled successfully. If you would like to speak to a specialist solicitor just complete the contact form or call the helpline or email our offices and one of our experts will discuss your potential mortgage mis-selling claim without any further obligation. A financial adviser involved in the sale of the mortgage should have ensured that the loan was suitable for your needs and that you fully understood all of the terms and conditions. Your advisor should have discussed any other available methods of borrowing or financing the purchase of your property. If you advisor failed in any of these respects then you may have a been mis-sold your mortgage. This really is the most unpleasant tactic in the realms of mortgage mis-selling employed by some financial advisors whereby they advised clients to pay off an old mortgage and take out an entirely new mortgage. The only person to gain from this would be the advisor who would receive an enhanced commission payment when compared with the smaller commission obtained on an original mortgage top up. The client on the other hand will have suffered a substantial loss due to the effective financial penalty for cashing a mortgage in early. This practice is a manipulation of the client's assets in favour of the financial advisor and is against The Financial Services Authority rules. Financial advisers are required to abide by the Financial Services Authority rules and failure to explain fees, charges and values or failure to complete a fact-find may mean that you have a claim. For dealings after 1 January 1995 you should have been given a Key Features document detailing fees and charges. Mortgages that continue into retirement cause particular difficulties as the borrower has to continue to pay even on a reduced retirement income. The financial advisor should have ensured that you would have sufficient funds to pay the mortgage interest and the insurance premiums after you had retired. If this subject was not broached then you have a potential claim. Interest only mortgages are causing particular concern in this category.